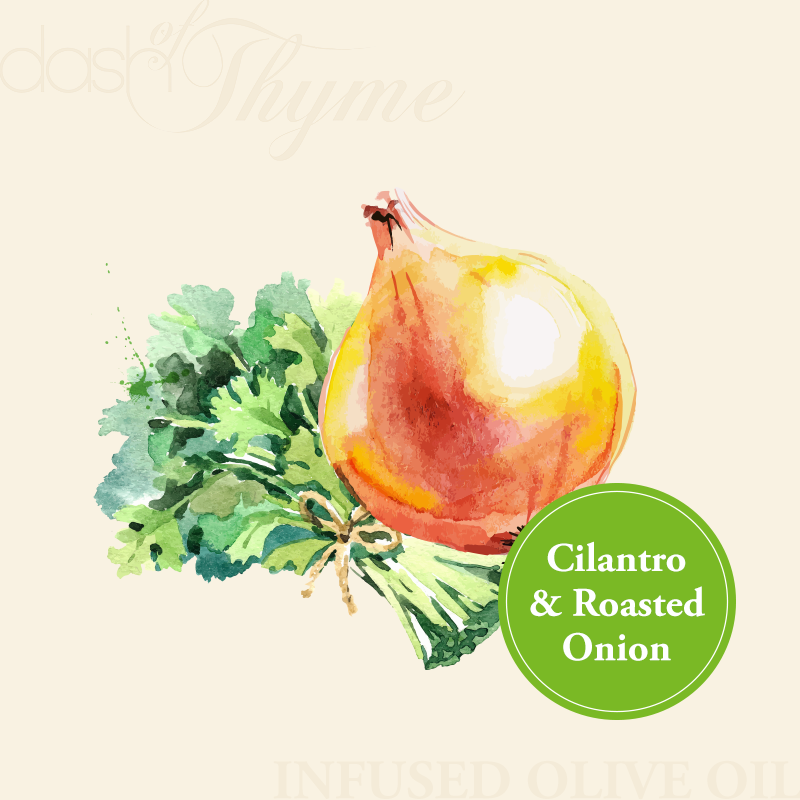 Made with UP Certified Extra Virgin Olive Oil, this savory infused oil masterfully blends the flavor of roasted, sweet caramelized onions with fresh, herbaceous cilantro. It’s fantastic for marinating poultry or meat for fajitas, for drizzling over vegetables, grilling, sautéing, in salsas, and more. Pairs well with our Sicilian Lemon White Balsamic, Grapefruit White Balsamic, and Oregano White Balsamic.